In a pain there is always more knowledge about the truth than in all wise men's serenity. All I know I have learned from the unfortunates, and what I recognized I saw through the look of the pained (Stefan Zweig, 1922,  56, translated by the present author). A 42-year-old female teacher consulted her family physician because of diarrhea that had lasted for five days. The doctor diagnosed enteritis and administered antibiotics. The patient died the next week. An autopsy revealed that she had a stomach cancer. A 49-year-old male physiologist had been suffering from some malaise for several weeks. Based on his own expert knowledge, he convinced himself that he had exocrine pancreatic insufficiency, i.e., lowered production of digestive enzymes by pancreas. He visited an internist to have his suspicion examined. The doctor took some blood tests. A few days later, she calmed the patient down assuring him he did not have an exocrine pancreatic insufficiency. Since his health didn't improve, in the years that followed he successively consulted five additional doctors, to receive additional, conflicting diagnoses. It was only the last, sixth, doctor who was able to confirm his own, initial suspicion of suffering from exocrine pancreatic insufficiency, and to help him. A 56-year-old housewife complained of being poisoned by her neighbors, and was hospitalized in a psychiatric institution. Paranoid schizophrenia was diagnosed. In the third year of her hospital life, a new, young doctor at the ward discovered that the patient had cancer of the esophagus. He concluded the cancer had certainly existed, at least as a precancer, prior to the patient's hospitalization three years earlier, and had caused her gastro-esophageal distress that she had interpreted as a symptom of being poisoned by her neighbors. But it was now too late to correct the past. She died shortly after the diagnosis was made. A 22-year-old female student was diagnosed of having multiple sclerosis because of her complaints of permanent, unbearable headaches, and of some sensory and muscular problems. She was treated for multiple sclerosis over the next eight years. After she moved to another city and changed her apartment, her health problems disappeared immediately. No further treatment was needed. She was able to continue her university studies. Her new doctor speculated that effluents from the furniture in her previous apartment might have been the cause of her health problems. A 39-year-old male engineer had several episodes of sharp, stabbing left chest pain. The pain lasted only a few minutes each time, did not radiate, and was not related to physical activity. The physician whom he visited, found that his ECG was normal and all blood parameters, including blood lipids, were also normal. No risk factors were present. The patient had no history of any disease. X-rays of thoracic organs displayed no abnormalities. The doctor diagnosed Tietze's syndrome and sent the patient home, assuring him that he had no serious health problem. He was asked to return in six weeks. Two weeks later the physician read his obituary notice in the local newspaper. He had not survived a second heart attack. There are still many more misdiagnoses, wrong treatments, and physiciancaused misfortunes, pains, and deaths. Why and how do they arise? I have tried to understand this phenomenon since my clinical training at the end of the 1960s. Living in West Berlin then, i.e., the free sector of then divided Berlin, Germany, I regularly witnessed at clinical rounds the debates between our chief and senior officers about their conflicting bedside diagnoses and treatment recommendations. It was surprising and even disturbing to me as a young physician to encounter such differences among their clinical judgments. This observation made me aware of an issue for the first time that our teachers had not taught us during our medical education, i.e., methods of clinical reasoning. Clinical reasoning, also called clinical decision-making, diagnostictherapeutic decision-making, and clinical judgment, lies at the heart of clinical practice and thus medicine. Although as students of medicine we had learned large parts of natural sciences, anatomy, physiology, biochemistry, pathology, pathophysiology, and many clinical disciplines, diseases, therapies, and methods of diagnosing and treating individual, specific diseases such as gastritis, leukemia, schizophrenia, etc., we had learned nothing about how to search for a diagnosis and treatment in general, i.e., how to arrive at a clinical judgment. I asked myself whether there was a scientific methodology of clinical judgment that our teachers had withheld from us, and if so, what did it look like? My extensive search was disappointing. It revealed that there was no such methodology. I have since been concerned with this topic, and have found that a variety of highly intriguing logical, linguistic, methodological, epistemological, moral, and metaphysical issues and problems are involved. The present book addresses these issues and problems, many of which have either been overlooked or neglected until now by both medicine and its philosophers. Their analysis will not only enrich medical practice, research, and philosophy, but may also stimulate interest in the other areas involved. Medicine constitutes one of the major and most influential social institutions, including religion, law, education, and government, that interpret, rule, and shape our lives. It is therefore desirable to examine the adequacy and quality of its methods, means, practices, and perspectives. The present book undertakes such an examination by inquiring into the structure, nature, and goals of medicine. Our aim is to clarify the conceptual, methodological, epistemological, moral, logical, and metaphysical foundations of medicine in order to understand what occurs in the doctor-patient clinical encounter; what factors, forces, and sciences determine the dynamics and products of this interaction system; and how to best organize it. To attain our above-mentioned goals, we shall do analytic philosophy of medicine. But what is analytic philosophy of medicine? Analytic philosophy that has emerged at the turn of the 20th century, is a well-established method of philosophical inquiry by means of logical and conceptual analysis. It was founded by the German mathematician and logician Friedrich Ludwig Gottlob Frege (1848-1925), and the British mathematician and logician Bertrand Arthur William Russell (1872-1970). It attempts to clarify the structure and meaning of concepts, conceptual systems, knowledge, and action, and to analyze and improve methods of scientific investigation and reasoning. 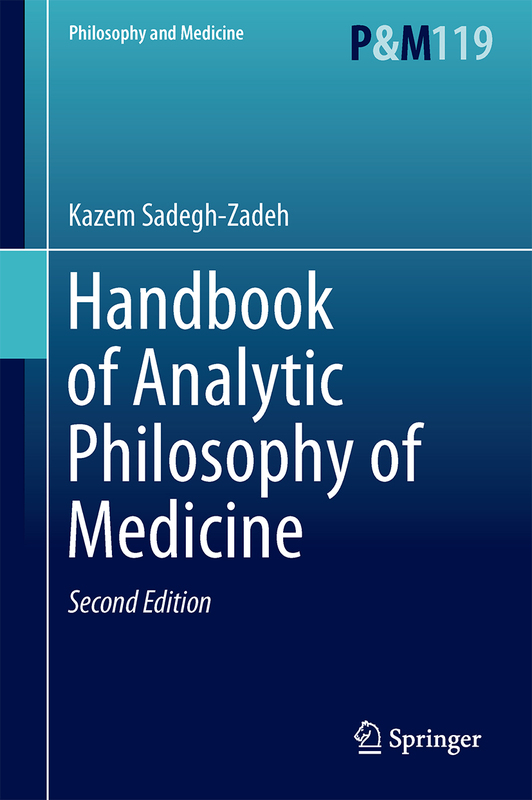 Accordingly, analytic philosophy of medicine is philosophy of medicine by means of logical and conceptual analysis (Sadegh-Zadeh, 1970a-c, 1977c). My basic motive for analyzing medicine logically is my long-standing interest in the sources and conundrums of physician fallibility and medical imperfection; my desire to contribute to enhanced physician performance; and my conviction that such enhancement is feasible by employing logic in medicine. A measure of physician performance is provided by the quality of diagnostic-therapeutic decisions. Since these decisions are the obvious outcome of clinical reasoning, their quality mirrors the quality of that reasoning. It is well known, however, that despite the advances in medical science and technology, many clinical decisions turn out wrong, leading to malpractice suits. As some statistic report, there are 30-38% misdiagnoses (Gross and Löffler, 1997; Sadegh-Zadeh, 1981c). At first glance, these errors call into question the clinical competence of the physicians involved. Viewed from a practical perspective, this deficiency in physician performance may appear as a failure that in principle is avoidable by improving the diagnostic-therapeutic methodology, say for example, using 'medical expert systems'. However, there are also scholars who interpret it as an inevitable physician fallibility due to the peculiarity of clinical practice as "a science of particulars" (Gorovitz and MacIntyre, 1976). The book is divided into nine parts, Parts I-IX, and comprises 35 chapters. The starting-point is the patient, examined in Part II, since the philosophy of medicine that I shall develop will be tailored to her/his needs and interests. To this end, in the opening Part I preceding it, the language of medicine is carefully analyzed and enriched with methods of scientific concept formation, to contribute to its improved use in clinical practice, medical research, and philosophy of medicine. In Part II, the patient is interpreted as a bio-psycho-social and moral agent in order to propose a theory of organism, an emergentist theory of psyche, and a concept of sociosomatics that substitutes for psychosomatics. This interpretation will help to provide an understanding of what it means to say that such an agent may feel ill, or be categorized as diseased. In the pursuit of this understanding, the concepts of health, illness, disease, diagnosis, prognosis, therapy, and prevention are logically analyzed, and a number of novel conceptual frameworks are advanced. These include the prototype resemblance theory of disease, according to which a few prototype diseases determine, by similarity relationships, the whole category of diseases; a probabilistic theory of etiology, which reconstructs medical causality as probabilistic-causal associations between cause and effect; and a theory of relativity of clinical judgment, according to which diagnostic-therapeutic decisions and preventive measures are relative to a number of parameters. The aim is to inquire into how medicine is engaged in shaping the human world, by deciding who is a patient to be subjected to diagnostics and therapy, and who is a non-patient. In this way, nosology, pathology, etiology, diagnostics, prognostics, therapy, and prevention are understood as conceptual and methodological endeavors that serve as means of medical worldmaking. All necessary logical tools are provided in our logic primer in Part IX. Part III is devoted to medical knowledge. In it, we analyze the concept and types of medical knowledge to expose the relationships of this knowledge to what it talks about. It is shown that medical knowledge consists of norms, hypotheses, and theories. While for syntactic reasons medical norms and most types of medical hypotheses are unverifiable, theories are empirically not testable at all because, like norms, they do not consist of statements of facts. They are conceptual structures, just like buildings are architectural structures. Several example theories are reconstructed according to this non-statement view of theories, to discuss its medical-epistemological consequences. An important question in this context is from where medical theories and knowledge arise. It is shown that, in contrast to our received views, the sources of medical knowledge and theories are medical-scientific communities and not individual scientists. Pronouncements such as "Robert Koch discovered the bacillus of tuberculosis" are inappropriate because underlying such a discovery are groups of scientists and technical assistants, research funding agencies, and a number of social and political-historical factors. This social-constructivist idea was first developed by Ludwik Fleck and adopted later by Thomas Kuhn. It is of particular significance in medicine because it implies that, by and large, medical-scientific communities determine the nature of medical truth and the way how to act. We even go one step further to suggest a theory of technoconstructivism, according to which scientific research today is in transition to engineering; and scientific knowledge is increasingly being constructed as a technical product and commodity by technology. In Part IV, the concept of medical deontics is introduced to include under this umbrella term all medical research, on the one hand, whose outcome is formulated by deontic sentences, namely ought-to-do rules; and all medical practices that obey such deontic rules, on the other. Thus, medical deontics not only covers normative medical ethics and law, but also diagnostic-therapeutic research as well as clinical practice. This momentous deonticity of medicine also includes the concept of disease, that is argued to be a deontic concept created by the minimal common morality in the human society. As was already pointed out above, the deontic character of medicine has been ignored until now. I hope that philosophers of medicine, and medical ethicists as well, will concern themselves with this intriguing feature of health care in order to open new fields of research and to enlarge our understanding of how maladies and healing are intertwined with morality and charity. Part V deals with the roles that systems of logic play in medicine, and with the question whether there is an inherent logic of medicine. It is shown that, due to the syntactic richness of medical language, different types of logic are required to cope with it in medical research and practice, because it transcends the scope and capabilities of individual logic systems. In this plurality of logics in medicine, an exception is provided by fuzzy logic. Fuzzy logic, also briefly introduced in our logic primer in the final Part VIII, is a logic of vagueness, and therefore highly suitable for use in medicine. It is a general enough logic to satisfy almost all logical needs of medicine, and moreover, to serve as an outstanding methodological tool for constructing innovative techniques of problem solving in research and practice. This has been demonstrated by an extensive application of fuzzy logic to clinical, biomedical, conceptual, medical-deontic, and metaphysical issues. By virtue of its wide applicability, strength, and elegance, it is likely to become the leading logic in medicine in the not-too-distant future. Besides the logical pluralism referred to above, no other logical peculiarity of medicine is observed that would require a specific medical logic. However, that does not mean that there is no rationale behind medical thinking and acting. We are currently told that in the not-too-distant future intelligent computer programs called medical expert systems or medical decision support systems will be used to aumate clinical decision-making (diagnostics and treatment decisions) and to introduce artificial intelligence into medicine. Although this is a serious issue that concerns the very nature of the future health care, there are only a few people who take it seriously. On the contrary, most physicians and medical officials believe that computers as machines will lack intelligence forever. This presumption is thoroughly examined in Part VI which provides a concise introduction to medical artificial intelligence in these 3 chapters: Medical Decision-Making, Clinical Decision Support Systems, Artificial Intelligence in Medicine. They provide a philosophical analysis of the possibility and potential of artificial intelligence in medicine. The introduction includes a brief reconstruction of the history of Medical Decision-Making and of its logical-mathematical foundations, and of how the so-called medical expert systems research emerged therefrom. The logic, the structure, the varieties and the technique of medical expert systems are analyzed to distinguish between ordinary medical expert or decision support systems, fuzzy medical expert systems, neural computation, evolutionary computation, and hyprid decision support systems. Medical metaphysics is the subject of Part VII. It is primarily concerned with medical ontology, medical truth, and the nature of medicine. Ontology is divided into pure ontology, applied ontology, and formal ontology. In these three areas, novel suggestions have been made by using fuzzy logic. Specifically, we have introduced a fuzzy ontology that seems to be auspicious for both medicine and philosophy. It not only determines degrees of being by means of a fuzzy existence operator, that we have dubbed the Heraclitean operator, but also makes it possible to construct a fuzzy mereology, by means of which vague part-whole relationships become tractable. Of particular importance is our distinction between de re and de dicto ontology, that is based on a syntactic criterion, and enables differentiation between fictional entities such as Sherlock Holmes, and real ones. The salient advantage of this approach is that it allows precise analyses of controversial questions like "are diseases fictitious or real?". Using this approach, we have extensively examined the ontological problems associated with nosology, psychiatry, and psychosomatics, and have also critically explored the so-called biomedical ontology engineering that is expanding today. Regarding medical truth, it has been shown that there is sufficient evidence to support the assertion that medical truths are system-relative, and are formed within the respective health care systems themselves. They do not report scientifically discovered facts 'in the world out there'. Particular emphasis has been placed on the analysis of medicine as a scientific field. Abandoning widespread, exclusive mono-categorizations such as "medicine is a science" versus "medicine is an art", we have demonstrated that in declarations of the type "medicine is such and such", the global term "medicine" should be differentiated to recognize that medicine, comprising many heterogeneous disciplines, belongs to a large number of categories. For example, without doubt biomedicine is natural science; clinical research, however, is practical science; it is also normative ethics; clinical practice is practiced morality; and so on. What is worth noting, is that medicine is also a poietic science that invents, designs, and produces medical devices in the widest sense of this term, from drugs to prosthetics to brain chips to artificial organs to artificial babies. Medicine is thus on its way to become an engineering science, conducted as health engineering and anthropotechnology. Part VIII of the book attempts to clarify some epistemological and metaphysical issues that our preceding analyses of medicine have revealed. First, taking into account the peculiarities of medicine, the concept of science is explicated to demonstrate why the traditional understanding of this concept in the general philosophy of science is terribly one-sided. The yield is a tripartite concept of science that, in contrast to the traditional mono-scientism, suggests three different types of science: theoretical science, practical science, and deontic science. Medicine comprises all three types of science. Second, it is shown that rationality cannot be a criterion of the scientificity of medicine, because rationality is something relative, and depends on the perspective from which it is judged. Third, it is argued that this dependence on perspective is an inescapable property of views, rendering perspectivism an interesting approach to epistemology and ontology both in medicine and elsewhere. To conduct the studies sketched above, we must first assemble the logical and conceptual tools that we shall use. This task is accomplished in Part IX of the book as a sort of appendix. It provides the logical fundamentals comprising a brief outline of the relevant fields from classical set theory and logic, to modal logics, non-classical logics and probability logic, and further on to fuzzy set theory and logic. For readers not acquainted with logic and its terminology, Part IX is the prerequisite for understanding the medical-philosophical frameworks and theories developed in the book. It is a truism that a tool for analyzing a particular object should be sufficiently sensitive to the subtleties of that object. Otherwise, the details and peculiarities of the analysandum will be lost. For example, it would be fatuous if someone tried to examine a biological cell by employing a pneumatic hammer, since such a brute-force approach only destroys the cell. The ingenious apparatus of a microscope and thin light waves will be necessary to discern what is before one's eyes. The same holds for analyzing a scientific enterprise itself. Medicine as a scientific enterprise is too complex an area to be amenable to coarse and crude tools and techniques of inquiry. My interest in the subject addressed in this book goes back to my youth when, in the early 1960s, I was a graduate student of medicine and philosophy at the University of Münster in Germany. Initially, I was an adherent to phenomenologic and hermeneutic approaches, until analytic philosophy persuaded me in the late 1960s that it was a more adequate and superior method of philosophical analysis in medicine. I had the good fortune to realize early on that in philosophizing on topics such as diagnostic-therapeutic reasoning or the conceptual structure of medical theories, well-developed, sensitive, and precise tools and techniques such as logic are required. The reason why logic is needed rather than a pneumatic hammer for such an inquiry, is simply that both diagnostic-therapeutic reasoning and theory structures have some logical characteristics, which are not adequately analyzable by tools other than logic. Accordingly, my approach to philosophy of medicine in this book takes an analytic route. It is my conviction that medicine will only benefit from logical self-analysis. As a consequence of using logic as our method of inquiry, the book is not light reading like a traditional medical-philosophical treatise. Some knowledge of logic is required to understand the analyses, reconstructions, and constructions involved. For those readers who are not acquainted with logic, a logic primer is provided in the final part of the book, Part IX, that they may consult before or while reading chapters of the book. In that case, the book will be self-contained and easily accessible to any interested student. The author recommends that you study the logic primer first, and then proceed sequentially through Parts I-VIII and not skip anything. The book has been organized systematically and should be read accordingly (see Figure). [Gorovitz and MacIntyre, 1976] Gorovitz S, and MacIntyre A. Toward a theory of medical fallibility. The Journal of Medicine and Philosophy 1976; 1:51-71. [Gross and Löffler, 1997] Gross R, Löffler M. Prinzipien der Medizin. Eine Ãœbersicht ihrer Grundlagen und Methoden. Berlin: Springer, 1997. [Sadegh-Zadeh, 1970a] Sadegh-Zadeh K. The organism as a cyclic-causal system. (In German.) Ärztekolloquium 1970; No. 1, pp. 26-39, edited by Duensing F. Department of Clinical Neurophysiology, University of Göttingen. [Sadegh-Zadeh, 1970b] Sadegh-Zadeh K. Psyche and self-consciousness by cerebral representation and metarepresentation of the organism. (In German.) Ärztekolloquium 1970; No. 3, pp. 11-18, edited by Duensing F. Department of Clinical Neurophysiology, University of Göttingen. [Sadegh-Zadeh, 1970c] Sadegh-Zadeh K. Is psychiatry a science? (In German.) Ärztekolloquium 1970; No. 4, pp. 22-33, edited by Duensing F. Department of Clinical Neurophysiology, University of Göttingen. [Sadegh-Zadeh, 1977c] Sadegh-Zadeh K. What is clinical methodology and why do we need it? (In German.) Inaugural paper presented at the first meeting of the Arbeitskreis für Methodologie der klinischen Medizin, Herzog August Bibliothek Wolfenbüttel, Germany, March 23, 1977. [Sadegh-Zadeh, 1983] Sadegh-Zadeh K. Medicine as Ethics and Constructive Utopia: 1. (In German.) Tecklenburg, Germany: Burgverlag, 1983.